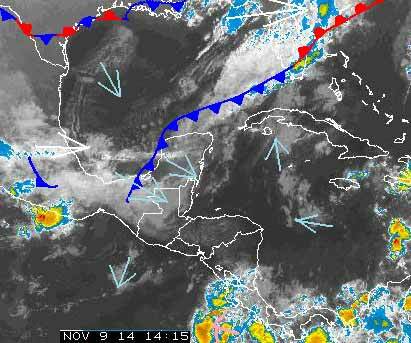 Belize NMS: A weak cold front will cross the country later today. 24-hour forecast: Mostly clear skies tonight and sunny skies with a few cloudy spells tomorrow. Little or no rainfall is expected tonight and tomorrow morning, then a few showers and isolated thunderstorms will occur mostly inland and in the north tomorrow afternoon. Winds: West - northwest at 5-15 knots. Today: Winds: W-NW 5-15 kt. ; seas: Light chop; waves 2ft; mainly fair. Tomorrow: Winds: N-NW becoming N-NE 5-15 kt; seas: Choppy; waves: 3-4ft; variably cloudy and cool. Marine Outlook: (Monday night) Winds: E-SE becoming NW 5-10 kt; seas:Light chop - choppy; waves: 2-4ft; mostly dry and cool. General Outlook: For Monday and Monday night is for cool and mostly dry weather with variably cloudy skies. A few showers or periods of light rain are likely offshore and in the south on Monday morning... Decreasing later in the day. 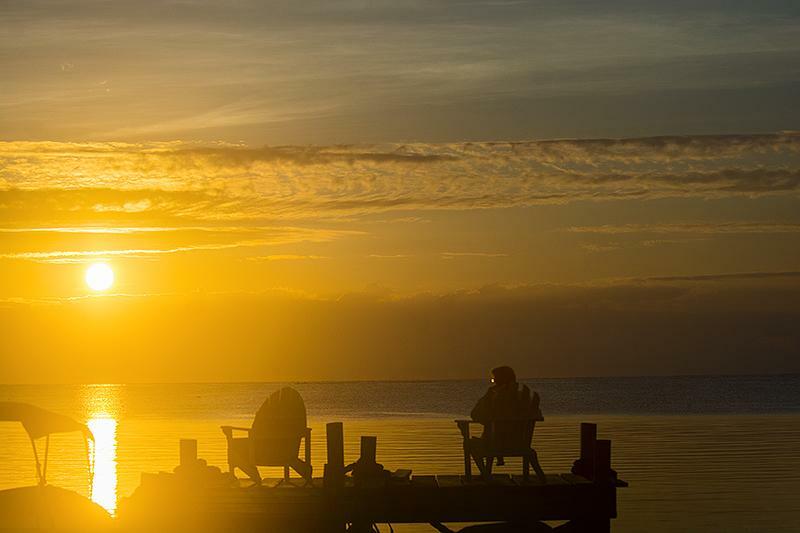 Dead calm and sunny today on Ambergris Caye. Our expected high is 84. That cloudy weather that has been streaming over the southern States for the last few weeks, now has a front moving towards Belize and will be putting higher cloud over Belize. . . . .This does not follow the shape of the cold front on the weather maps at all. . . .But I suspect it will bring cooler air to Belize over the next 24 hours. . . And more higher cloud with it, not necessary a lot but some.. . . .But, at the same time, the cooler Low level air is also coming towards Belize from the NW.. . . .You do not need to get your Snow boots out though. That low level cloud associated with the cold air coming down from the States has moved into Belize earlier this morning and will probably continue to give large areas of cloud cover for much of the day. . .Perhaps the occasional glimpse of sun. . .. The air getting slightly cooler, but with the suns heat, this might not be noticed until tonight.. . . .That broken cold front is moving slowly, its effects are already with us. . . .The high level cloud ( white arrow) is thin and not going to have much effect on Belize.. .. .It was much brighter earlier this morning. I expect a mainly cloudy day today, with possible little sun, but unlikely much rain, but there could be some.. . .The wind is from the West and likely to be so for much of the day. My little obscure Windfinder site is saying we're going to have the wind kick up to 14 mph a little before midnight, but calm steadily through the morning back to the calm we've experienced for the last few days. Windfinder seems accurate most of the time and I'll check it to see if it truly does kick up tonight. The wind causes the waves. That's a simple but hugely important thing to know about weather when you live by the sea. The amount of time the wind blows is in the equation for waves and the little few hours of 14 mph tonight and early morning wouldn't/shouldn't have enough time to disturb much tomorrow. I don't like predicting the weather I't seems to make the weather gods laugh. Lets see what happens tonight.